Channing’s strong transitional design is softened by graceful curves in Brushed Nickel. The refined, tapered laser cut arms allow for a delicate glimpse of the etched opal glass for an added layer of style. Q What is the length of the downrod? 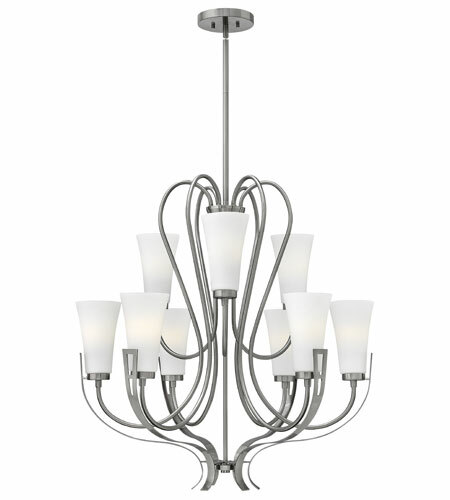 A The Hinkley Channing 9 Light Chandelier 4228BN comes with (1) 4", (1) 6", (1) 12" and (1) 24" downrod (46" total) which can be used in any combination to achieve various height adjustments.